It's time to stop dreaming about buying a handicap van for sale, used or new, and start working with one of the top dealers in the country to own one. You'll find our entire showroom online, where you can browse vehicles yourself or work with a mobility consultant who will help you find the disability vehicle for sale that meets your budget and performance needs. Then, simply choose from our delivery options to bring your handicapped van to Brooklyn, New York, or to a nearby area such as New York, NY, Mamoroneck, NY, or Trenton, NJ. Have your handicap van driven from our office to your driveway in Brooklyn, New York, by a mobility professional, and then, fly home. Our excellent customer care doesn't stop with the sale. One of our mobility professionals can haul your wheelchair van on an auto transport trailer to minimize both wear and tear and accrued mileage. You're welcome to get your handicap van home via pick-up. Visit our headquarters in Atlanta, GA, to pick up your accessible vehicle. There's no delivery or pick-up fee, and you'll likely get a discount on the purchase price to help offset travel costs. The signature "White Glove Service" performed by our mobility professional is included free with every delivery and pick-up. A skilled professional demonstrates the wheelchair van and all its equipment, and you'll have all the time you need to ask questions and feel comfortable operating the vehicle. Buy with absolutely no risk at all with our Total Satisfaction Guarantee upon delivery. 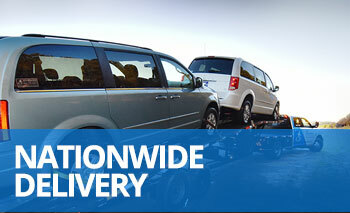 You have the right of refusal when we deliver your van. If, at that time, you find anything unacceptable, we'll take the vehicle back to our headquarters, void the sale, and refund your payment. You can even request we meet you at your favorite mechanic for an inspection, after which you can make your decision. Selling wheelchair vans direct to AMS Vans for some of the highest payouts in the industry is one way our customers can reduce their expenses. You can also list your accessible vehicle in our mobility classifieds. Reach interested buyers all over the country by listing your handicap accessible van for sale by owner. 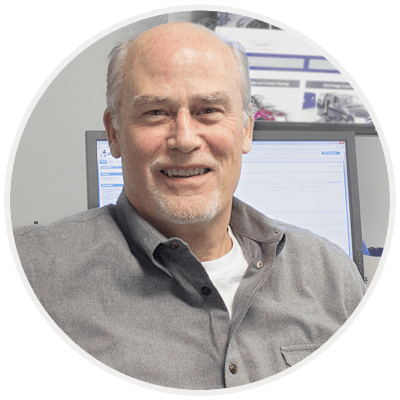 Get in touch with a mobility consultant at 800-775-VANS(8267) to find out more about our company and what we offer. We sell used wheelchair minivans from other manufacturers such as Braun vans and VMI wheelchair vans at affordable prices. We have a huge selection of AMS Vans-brand vans, including Dodge, Chrysler, Volkswagen, and our popular Honda mobility vans. Tell us your physical and budgetary needs, and we'll look through our inventory to show you some of our mobility vans that will accommodate you perfectly. Choose the one you'd like in your driveway— we'll help you handle the paperwork and prepare for delivery! Since we opened our doors, it's been our primary focus to provide affordable, accessible transportation to every person in the United States with a need, and we'd love to do the same for you!